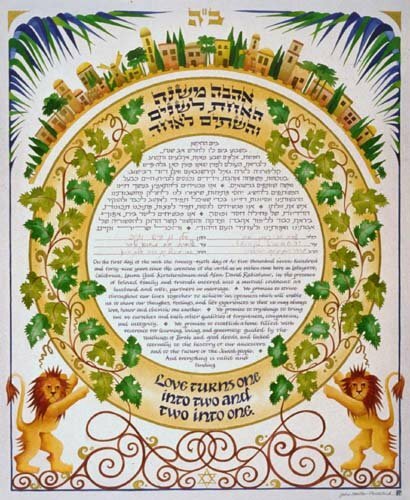 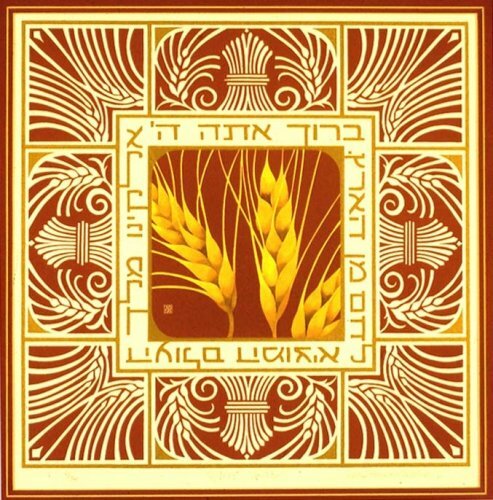 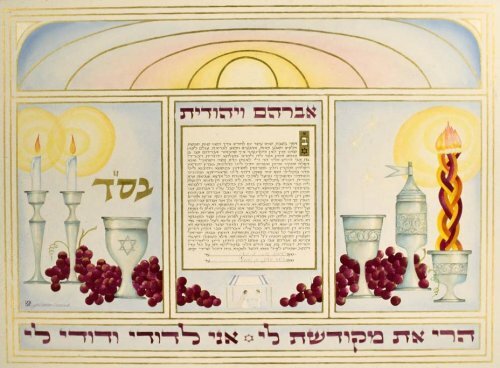 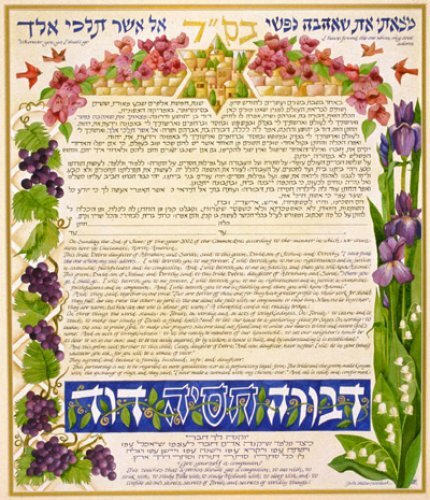 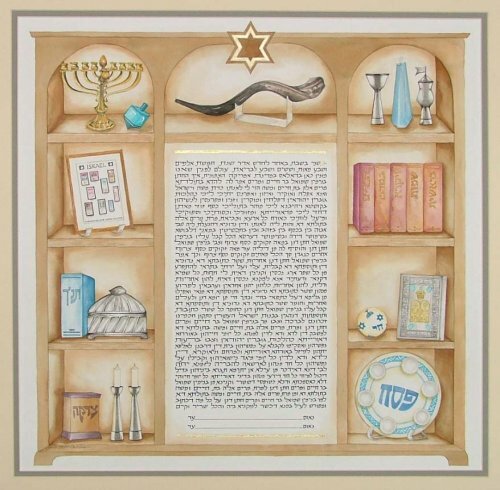 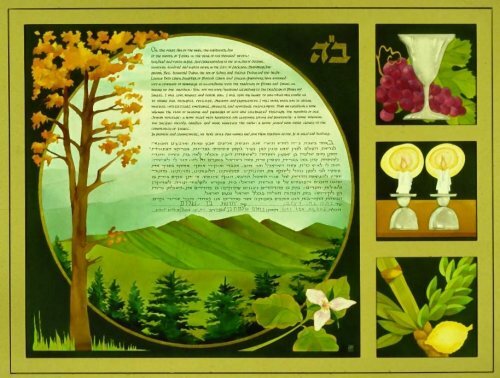 The images in this Ketubah represent the Shabbat (on the left), and then the Havdalah service at the end of Shabbat (on the right). 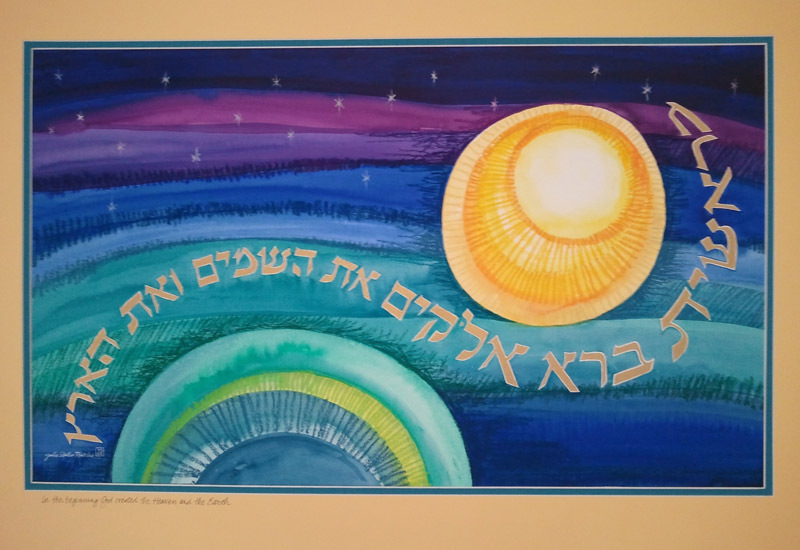 The couples’ Hebrew names are above the text, and the words they spoke to each other at the ceremony are below. 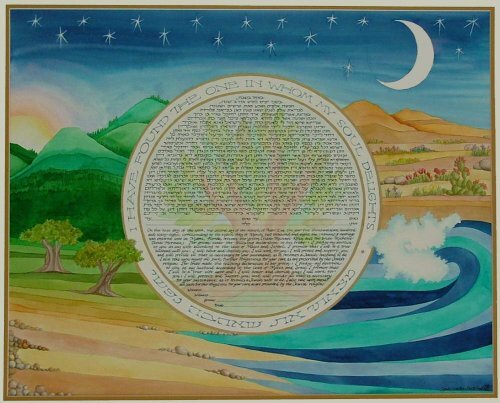 Bride: I am my beloved’s and my beloved is mine. 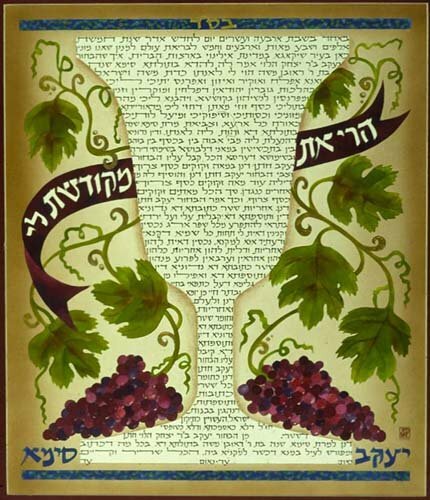 Groom: Behold you are consecrated unto me.